The path to the Rolex Kentucky Three-Day Event presented by Land Rover can be winding and difficult, and few understand that better than owner Lucy Boynton. 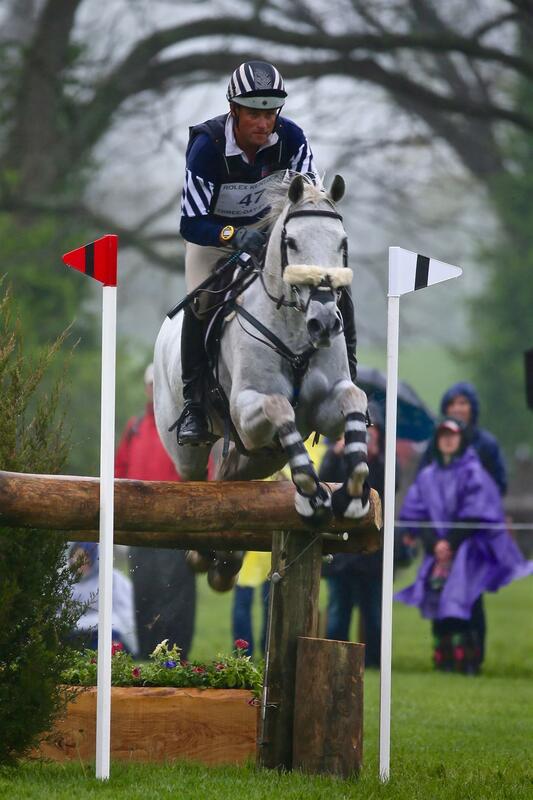 Her horse Crackerjack has done more than just take Boynton to the highest level of eventing on both sides of the Atlantic; he’s also given her an extended family and continued a path that her late son, eventing rider Colin Davidson, started. The fact that the path has wound through four-star events at Rolex Kentucky, Badminton, Luhmühlen, and Pau is largely due to Olympian Boyd Martin. When she planned the mating that produced her gray Thoroughbred gelding Crackerjack, Boynton didn’t really have a future trip to the Rolex Kentucky Three-Day Event in her mind. And, as Boynton explains it, the cross that produced Crackerjack came about through nearly equal parts planning and happenstance: Boynton had a Thoroughbred mare she liked but who was no longer sound for competition, and an hour and a half away Denny Emerson had a nice stallion named Aberjack. “My mare was a sweet girl and beautifully made,” said Boynton, who lives in New Hampshire. “A lovely mover with a lovely temperament. And I thought, ‘What the heck, we’ll just have a baby.’ It seemed like a good idea, and it was a team effort. We picked the nearest stallion. Denny Emerson has Tamarack Hill Farm up there, and he was standing Aberjack at that time. We knew Denny well, and it was available. The “team effort” involved not only Emerson and Boynton, but also Boyton’s son Colin Davidson and New Hampshire-based eventer Nancy Guyotte, who is Boynton’s trainer. The original idea was that “Crackers” would become an event horse for Davidson, who at the time was enjoying some success as an eventing rider; in 2006, he was honored by the United States Eventing Association as the Advanced Adult Amateur Rider of the Year, after a strong season with his own Duchess, a mare he'd gotten when he was a teenager and developed to the three-star level. In the meantime, Crackers went away to summer camp, quite literally. The exposure to daily life on a small farm and a kids’ summer camp also didn’t hurt. “I think the more exposure you can give a horse, the better,” said Boynton. “There were trucks coming in and out, and you’ve got little kids wandering around talking and touching and giving him a sense of comfort with people. All the experiences of a young horse are what make the older horse. They have to be exposed to things. “Bekki just started him off right, which told him, ‘This is all going to be fun. Let’s go do it.’ She broke him and did some low-level stuff around northern New England. By the time he was seven and competing at the preliminary level with Davidson, Crackers had revealed himself to be what might be called “not an amateur’s horse,” a smart, athletic, opinionated, and talented animal who was showing some promise. Davidson, too, was seeing his work as a rider pay off. 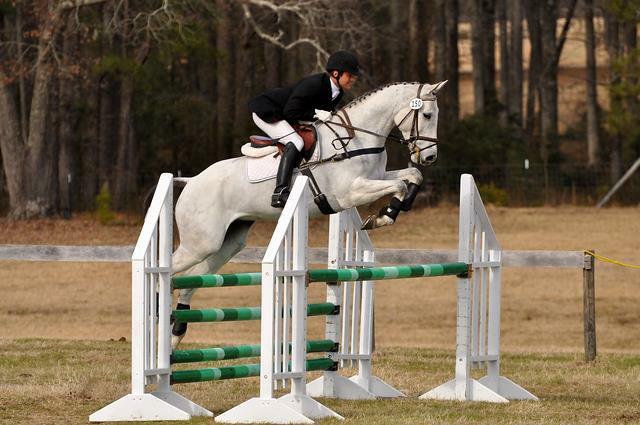 In 2010, he competed at Rolex Kentucky with his own horse, Draco, and was named to the United States Equestrian Federation High Performance Committee’s Eventing Developing Rider List. But then, that December, Davidson was in a car accident near Charlottesville, Va. He died the following day, on Dec. 6. After Davidson’s death, Boynton decided to sell Crackers and sent him to Boyd Martin to prepare him for sale. “I knew Colin very well, because he was a fellow event rider,” recalled Martin. “When I first met Lucy, it was probably the worst time in her life, after saying goodbye to her son. She was in the process of getting rid of all his horses and cars and stuff, so it was hard. Initially, I was just told we needed to sell them all. And I think over time she started to enjoy the idea of having a horse in training that her son produced. We never really had a conversation where we decided not to sell him; we just kept going with him. “I thought, ‘Okay, Boyd, it’s your call,’” said Boynton. “I figured we’d keep him for a while and get him up to intermediate and then sell him. Boyd was interested in him, and I thought we’d get him ready and sell him to a professional. But Boyd kept saying, ‘Maybe we should keep this horse.’ I had no idea what I was getting into! “It’s sort of a dream,” Boynton said of Crackers’s development. “It’s the dream that Colin had. It’s an amazing journey, to be able to do this with this horse and have this sort of special bond with this horse, because he was mine and Colin was out there with him in a field when Crackers was six months old, running around with him. There are all these visuals that go along with it. You have a past. And the upper-level experience, like Crackers, is likely to be a one-off, Boynton says. Boynton might hang up her upper-level owner’s badge when Crackers retires, but chances are you’ll always be able to find her near a horse. Back at home, she has a nice one to event at the novice level. “She’s a little Morgan-Thoroughbred cross,” she said. “Dainty little girl. Chestnut mare. Want articles like this delivered to your inbox every week? Sign up to receive the Equestrian Weekly newsletter here. This article is original content produced by US Equestrian and may only be shared via social media. It is not to be re-purposed or used on any other website than USequestrian.org.